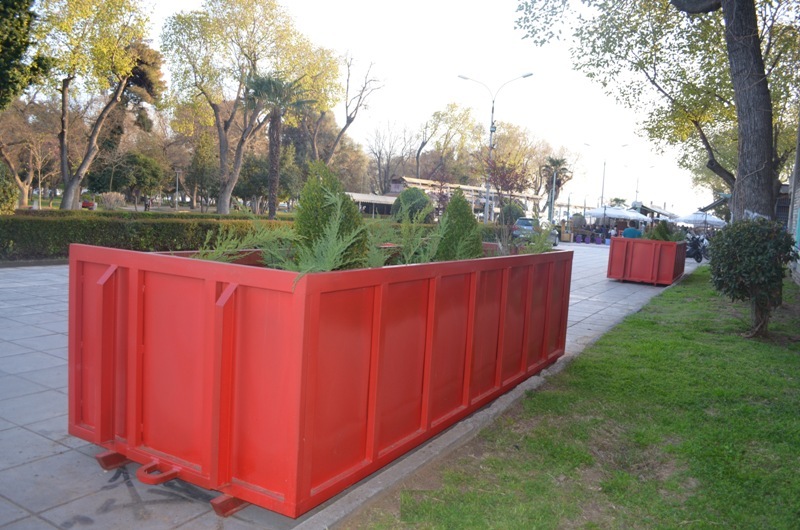 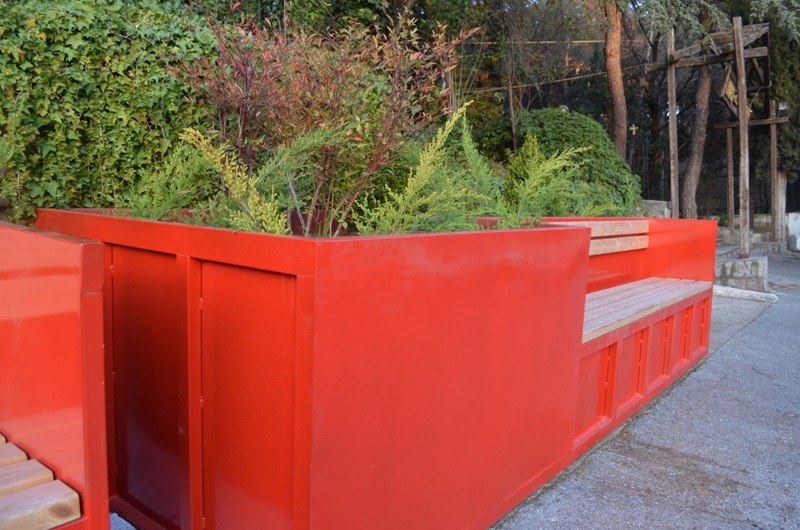 Bright red containers filled with lush greenery and curling ferns have started popping up in the town of Thessaloniki. 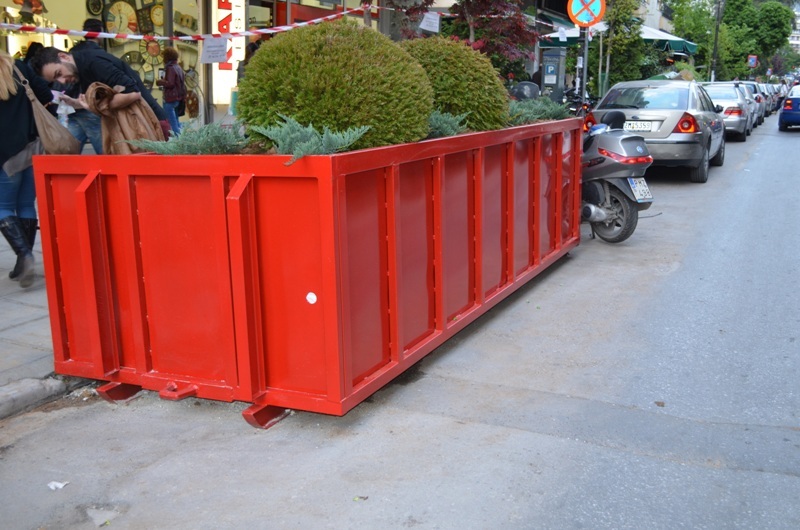 The plan aims to improve the district’s streets, alleys, and public spaces.Τiny portable gardens housed in dumpster-style containers. 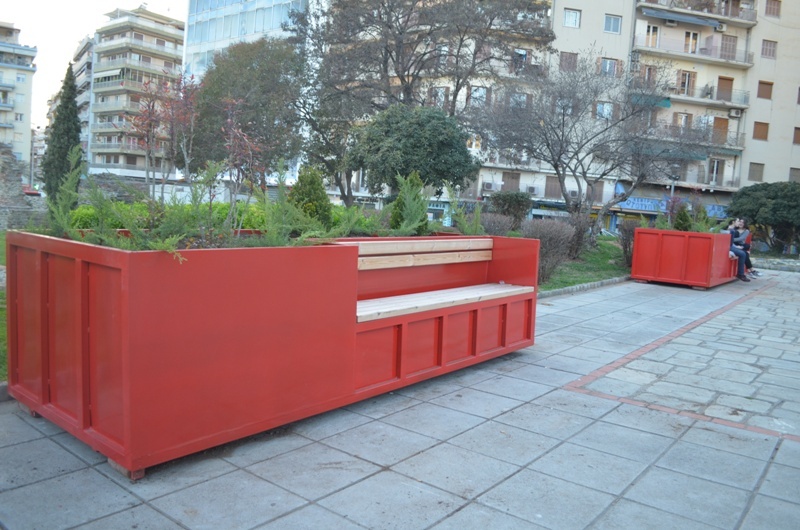 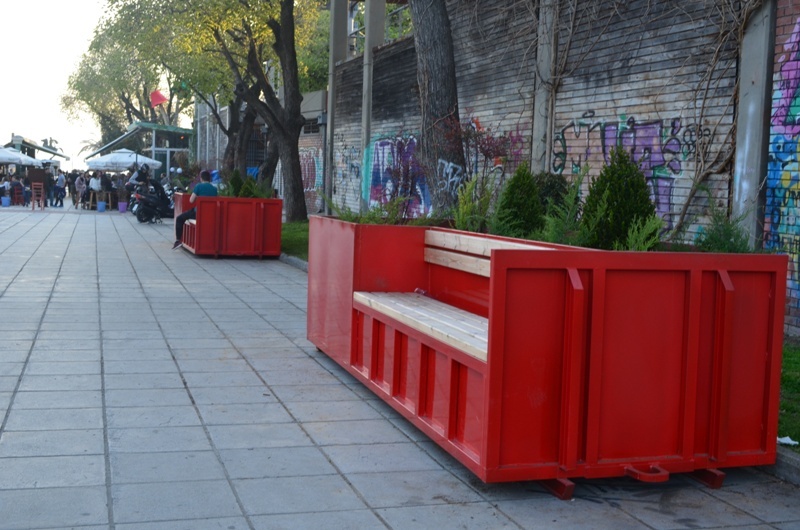 Τhis project would like to develop a sense of place and utilize neglected public spaces – Parkmobiles are one way to make a monotonous streetscape more unique. 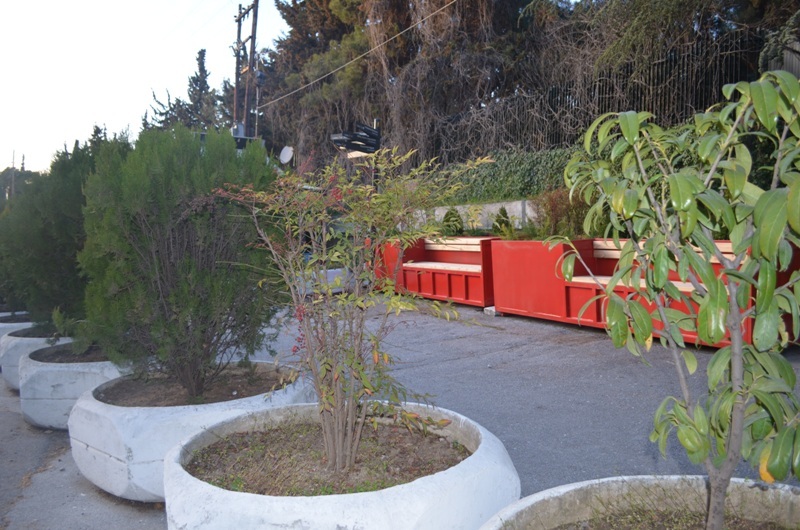 The Parkmobiles have been located in YMCA square, Str.Melenikou, Zoo park, Str. 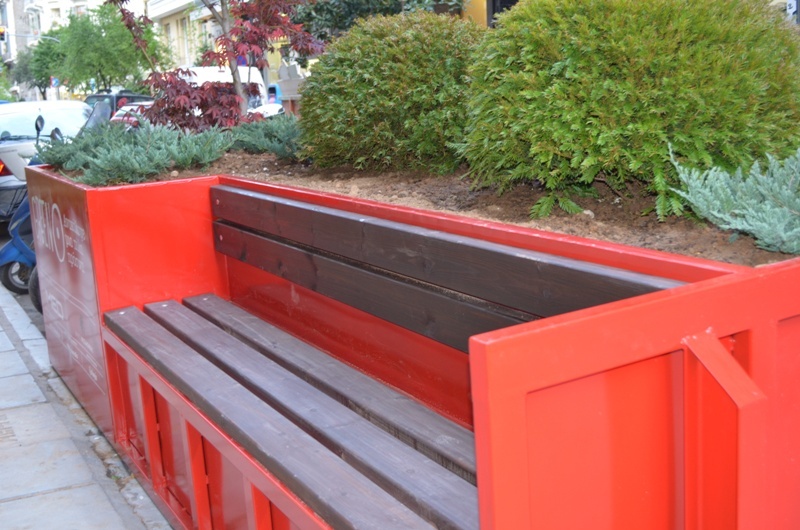 P.P.Geramnou. 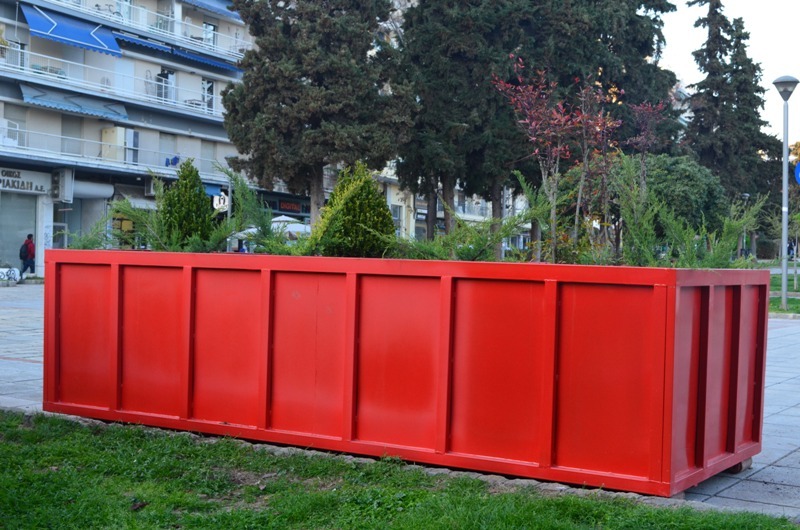 The idea of Green Spot is part of a wider campaign under the general heading» REACT NOW 4 THESS» in collaboration with the magazine» Options» and Management of Urban Environment of the Municipality of Thessaloniki. 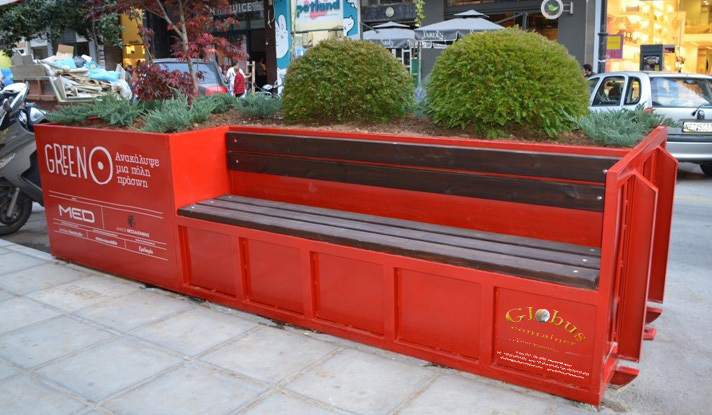 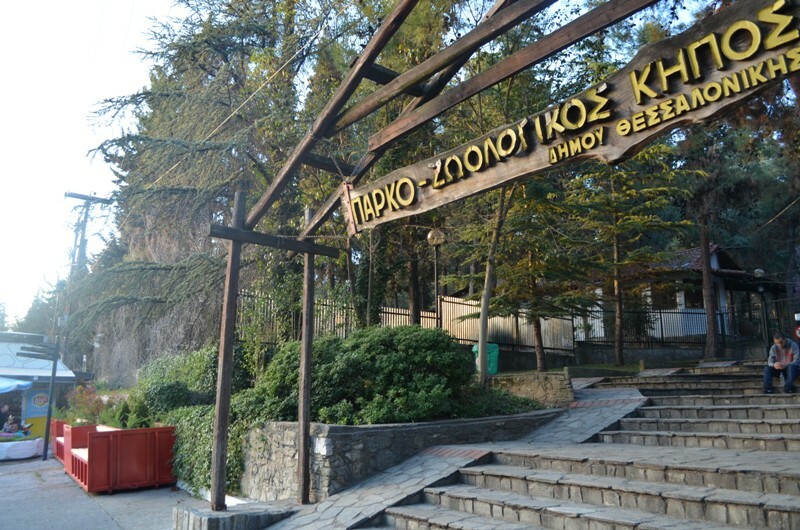 The premiere of this important effort is made by placing the first Green Spot in Thessaloniki.